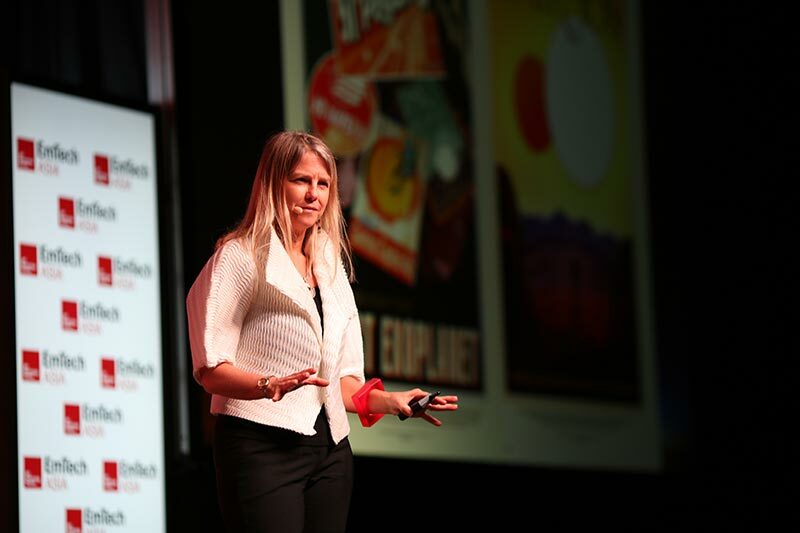 At EmTech Asia 2017 in Singapore, OpenGov had the opportunity to sit down with Dr. Dava Newman, Apollo Professor of Astronautics and Engineering Systems at the Massachusetts Institute of Technology and former Deputy Administrator of National Aeronautics and Space Administration or NASA (May 2015-January 2017). She spoke to us about the horizon goal of getting humans to Mars, the importance of international cooperation in space exploration and the applications of space research on planet earth. The interview below has been edited by OpenGov for clarity and brevity. Can you tell us about the plans for the mission to Mars? We have a long-term vision to get humans to Mars. We call it the Horizon goal. We have had rovers and robots on Mars for nearly 50 years. The world has seven different assets on Mars today. We have to continue studying Mars, getting more data, understanding it better. We have to invest in the technologies to get us to Mars, the habitats, life support systems, propulsion. So we are focused on all these issues related to human space flight during the 2020s. Then in the 2030s we go with humans, first to the Mars orbit first and then we land on the surface. Can you tell us about your research and how it is related to the Mars objective? I am very keenly interested in sending humans to Mars and returning them safely. My research includes space suits and astronaut performance. In 2014 we got the patents for our compression exercise suit for use inside the vehicle to counter astronaut physiological deconditioning. This suit is flying in space today, utilized by astronaut Thomas Pesquet, he’s an European Space Agency Astronaut. It flew the first time with astronaut Andreas Morgenstern for a nine-day mission. It was a quick test of the technology. Pesquet’s mission is 6 months. So, we get much more data. I have continued work on advanced extravehicular suit designs and life support systems for Mars, most notably my BioSuit™ second skin spacesuit. What are we trying to learn from Mars? The most important goal is the search for life. Are we alone? We don’t know the answer yet. All of our space research really fundamentally, is about answering the questions “Is there life out there: past or present”. We have found many thousands of new galaxies. We have discovered thousands of exoplanets, very, very far away earth-like planets. We are trying to find out if any of them are habitable. Earth and Mars are the same age, 4.5 billion years. That’s why we are so intrigued by Mars. Did Mars once have life? We are really looking for evidence of past life on Mars. The evidence is mounting. We knew Mars had ice at the north and south poles. But now we have evidence for water on Mars. It’s high salinity water. It won’t support life. Still water is a very encouraging finding. When you are looking for carbon-based life, you follow the water. Probably 3.5 billion years ago, Mars had life like earth. It had a warm and wet environment. The story on Mars tells us about life here on earth. We know life worked out pretty well on earth. But something went terribly wrong on Mars. The planet lost its atmosphere. Today it has a 1% CO2 atmosphere. Earth has a global magnetic shield. It protects our atmosphere and is fundamental for life. Today Mars has no global magnetic shield, and we see the Martian atmosphere literally being ablated away by the solar winds and radiation. We measure this with the NASA&apos;s Mars Atmosphere and Volatile EvolutioN (MAVEN) Mission that in the absence of the magnetic field, solar wind ablated the atmosphere away from Mars. It continues to do so today. The Discover mission is taking data from the sun. It is looking at the solar wind, the solar radiation and letting us (Earth) know what’s coming. I call it our space solar weather buoy located half way between earth and the sun at the Lagrangian point, called L1. These are other fascinating scientific questions. We have micro-meteorites on earth from Mars. We have picked them up in Antarctica and other places. Do we have earth micro-meteorites on Mars? Could have Mars seeded life here? Or could earth have done so on Mars, at the very beginning? Can you tell us about the role of private sector enterprises in this mission to Mars? They are partners. We have public-private partnerships. For instance, Space X, Orbital ATK and Sierra Nevada are delivering our cargo to space stations. The government used to do all that, owning the rockets, providing the services. But it gets expensive. We say we want to get to Mars, but we cannot do everything on our own. The government provides the initial funding to these companies. We want to get them to a position where they can make money. We want to make sure that we have a thriving space economy and the first step is in the Low Earth Orbit (LEO). It’s starting to happen. Then we look towards a future where we can maybe commercialise lunar orbit. I just co-authored an op-ed with Pam Melroy from DARPA (Defense Advanced Research Projects Agency), about commercialisation of on-orbit servicing for satellites in LEO and Geosynchronous orbit. DARPA and NASA have interagency cooperation. Deep space might come in at a later stage. We already have companies like Moon Express and Planetary resources looking at mining the moon and asteroids. Over the years, research and development at NASA has had several applications in the outside world. Are there any such recent developments? We call those spin-off technologies. Since we are investing taxpayer money we want to make sure that there’s a benefit not just for space science, but also for life here on earth. NASA publishes around 1600 spin-off technologies a year. To meet the demands in space, we miniaturise the technology. We have to really think hard about the batteries and the power systems. The advances that we make, developing low weight, portable devices are great for earth. One of my favourite ones is water filtration. For life support systems up on space stations, we need to have closed-loop systems. Water is precious. Everything that is liquid has to be recycled and used again. We have developed amazing water filtration technology and it is being used all over the world today. It is of great value in places and communities who don’t have access to clean water. Then there are bio-medical applications. We use a hand-held ultrasound to assess our astronaut’s health in space. Here on earth, you have big scanners, CT scans, MRI in the clinics. They are advanced but too massive to fly to space. So, we had to come up with a very compact ultrasound. Because it is cheap and it’s small, it is very useful for diagnosis in rural areas. The investments in technology are for the future for humanity. It is about STEM education, creating more jobs. Can you tell us about any technologies that have moved in the opposite direction from research labs to space? CubeSats are an interesting example, pushed from the research labs to space and then the space applications back to earth. At universities we used to assign CubeSat projects to our students. Instead of just designing a satellite on paper, we want them to actually build a satellite. Ten years ago those were student projects. Today CubeSats have advanced scientific instruments in them used for high precision monitoring. We didn’t anticipate that so quickly. The first flight of NASA’s new rocket, the Space Launch System (SLS), will carry 13 CubeSats as secondary payloads. 2 will go to the moon. Three slots are for payloads from international partners. CubeSats are helping democratise space, allowing all nations and even universities and non-profits to participate in space. There appears to be a resurgence of enthusiasm for space exploration in recent years? What do you think are the reasons for this? I think because it’s time. We are really at a crossroads with the development in technologies and the access to space. Earlier you had to spend a lot of money and effort to get things into space. Now that’s changing. With international cooperation and the participation of private companies, we have more access to space. Take Gilmour Space Technologies for instance. It is a Singapore-Australian company developing rockets for launching big 200, 400 kg satellites. That means we can think about companies all over the world designing, building and launching satellites and even humans. China, Russia and the United States have capacity to launch humans into space. If we get the private companies and the space agencies together, there will be so many more launch opportunities for satellites, space science and future human exploration. Private companies will help bring down the cost and increase launch frequency so many more people can participate. Combine that with technological advancements, in areas such as 3D printing. International co-operation seems to be a persistent theme in space exploration and for NASA’s strategy. What is the driver behind it? We want the world to join us. We want them to propose experiments, come work with us. The International Space Station has 95 nations participating so far. Agreements have been signed between the 5 main partners, USA, Russia, Canada, Japan and eleven member states of the EU to participate in the International Space station through 2024. The Mars mission will be a global effort. It’s not going to be one nation, one space agency. It’s going to be the world. The Indian Space Research Organisation (ISRO) launched a Mars orbiter successfully (Mars Orbiter Mission or MOM) on their first attempt. They worked with NASA closely, and NASA provides communications and navigation support. That is a great example of international cooperation. Now ISRO is working towards MOM 2. For me, ultimately, it is about raising humanity’s potential. If we do this together, we do it for peaceful exploration. That’s the vision I am interested in. My favourite quote from Star Trek is about excellence and diversity and inclusion. We need the best people in the world, and the only way we get that for space is to take a lesson from Star Trek: ‘Infinite Diversity in Infinite Combinations’. February 15 The suit employs semi-rigid ribs traced across the body to provide mechanical counter-pressure, while letting the wearer retain a full range of movement.NASA scientists have proposed putting a giant magnetic shield around Mars to allow the planet to slowly restore its atmosphere.Click here on updates on NASA’s CubeSat Launch Initiative.Read an interview on CNN here about using 3D printing for construction on Mars.